When the moon hits your eye like a big pizza pie, that's amore. And what greater love is there than the passion which humanity has for pizza? 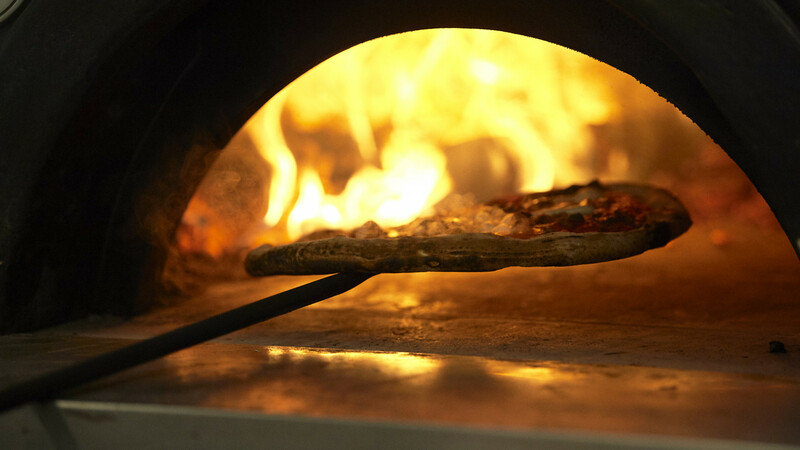 With a heritage that dates back as far as the 10th century, pizza has a storied place in food history. Just last year, the Neapolitan art of pizza spinning (known as 'pizzaiuolo') was awarded Unesco status as an "intangible heritage". It's likely got a fairly significant place in your own food memories, too. Pizza is the food eaten over spilled secrets at sleepovers. The food of 'just moved in'. The food of 'just broke up'. The food of 'just lost three stone'. 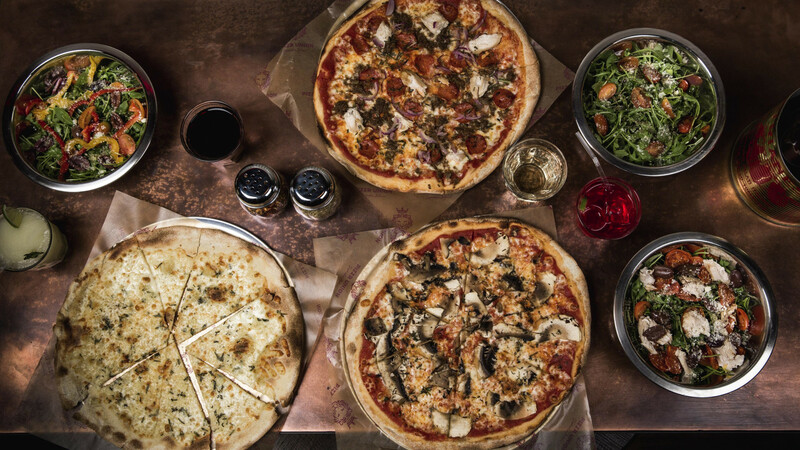 The food of 'just gained back three stone – really shouldn't have eaten so much pizza'. 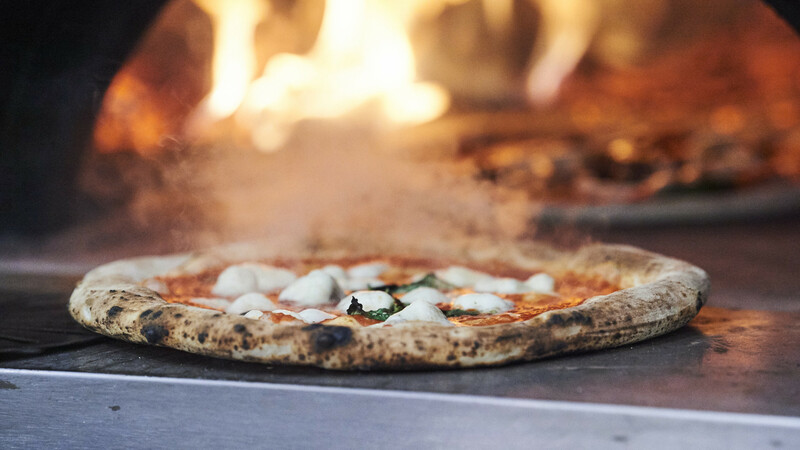 No matter where in the world you're from, you've probably eaten pizza. And a good deal of it. 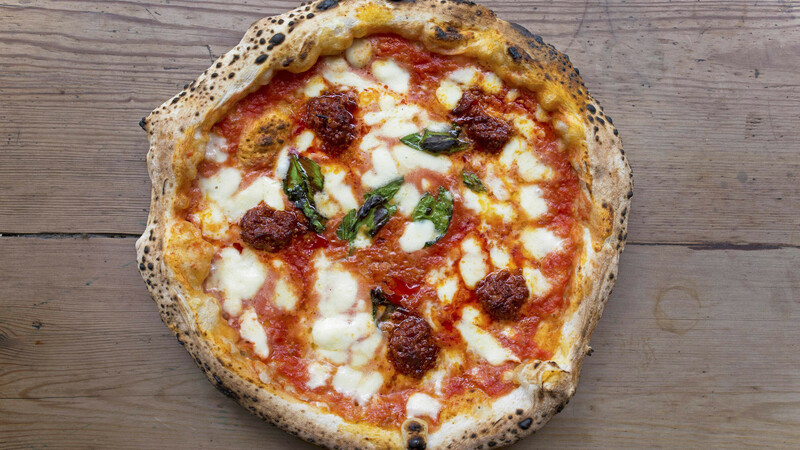 It's become an international culinary currency and multiple cities from Naples, Italy to New York to Chicago all claim to have the greatest pizza on the planet. 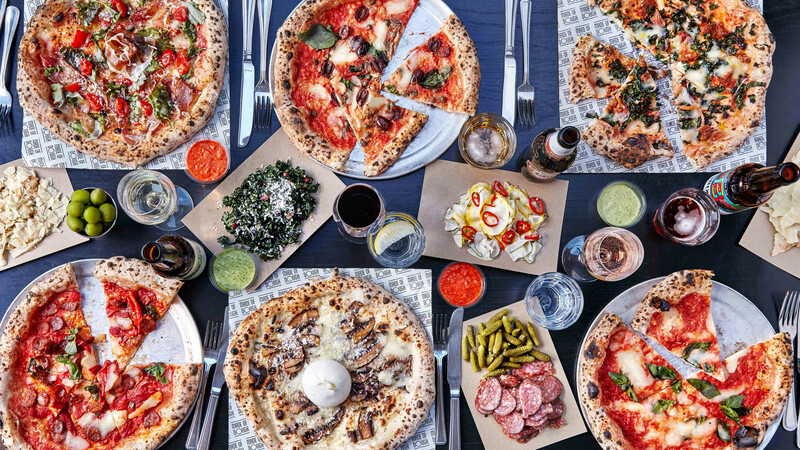 While London is pretty far from the historical birthplace of the hugely popular fast food, we'd confidently suggest that it, too, is home to some of the finest pizzerias in the world. 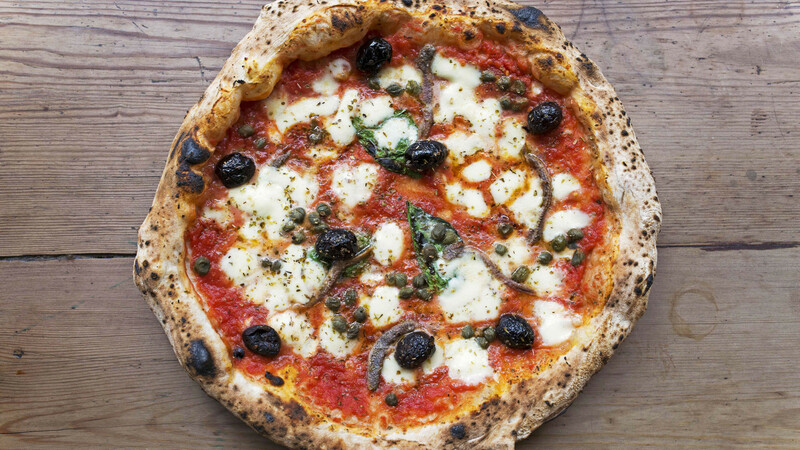 It's now easier than ever to get great pizza in London. The tricky part? 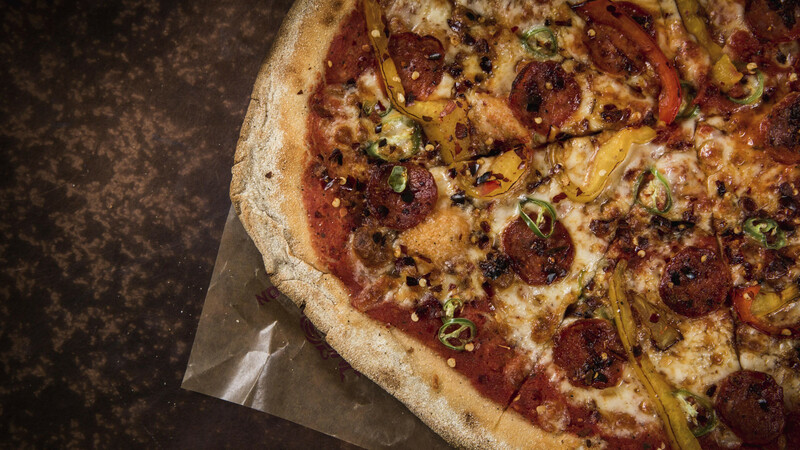 Working out where next to get your pepperoni or – dare we say it – ham and pineapple fix. 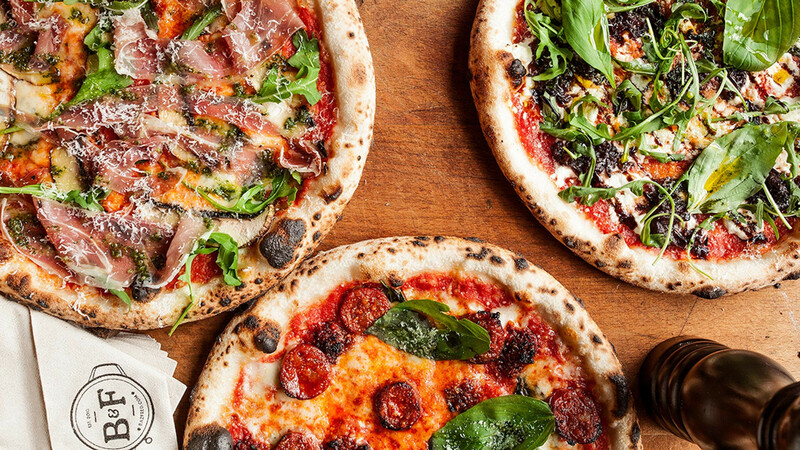 To help you make your next pizza party a belter, we've combined a list of the upper crust of London's pizzerias. Beer and pizza. Pizza and beer. There aren't many more harmonious combinations out there, and there aren't many better places to get your fill of both these fermented goodies than 400 Rabbits. 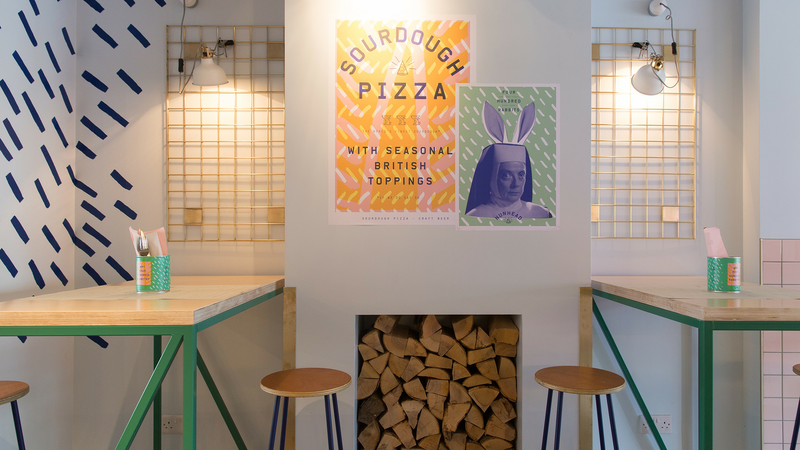 Named after the 400 rabbit gods that were, according to Aztec folklore, birthed out of a love affair between the goddess of alcohol and the god of fermentation, 400 Rabbits produce some truly sublime sourdough pizza at its Crystal Palace and Nunhead premises. 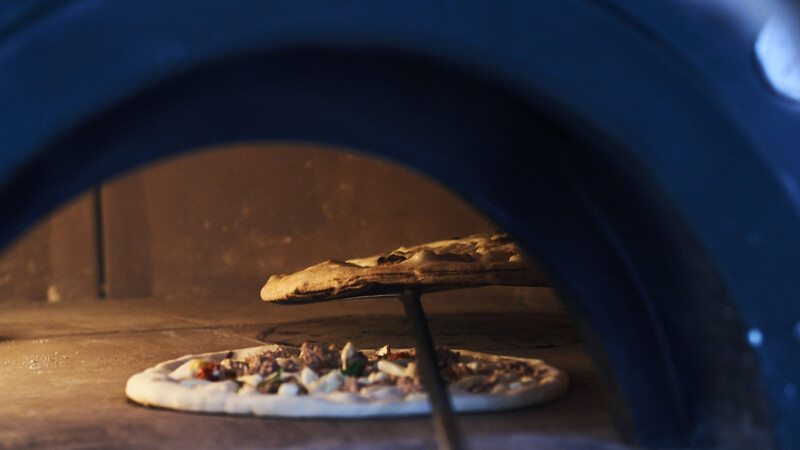 The pizzas are cooked to chewy, charred perfection in a wood-fired oven; topped with San Marzano D.O.P. 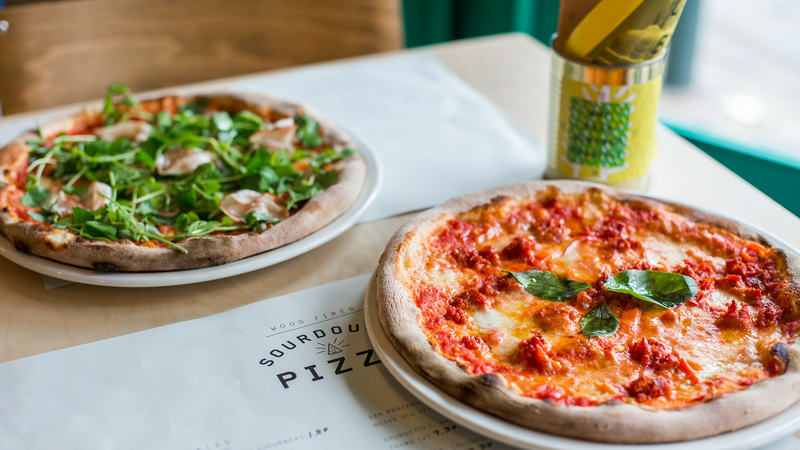 tomatoes, fior di latte mozzarella, and top seasonal British ingredients. 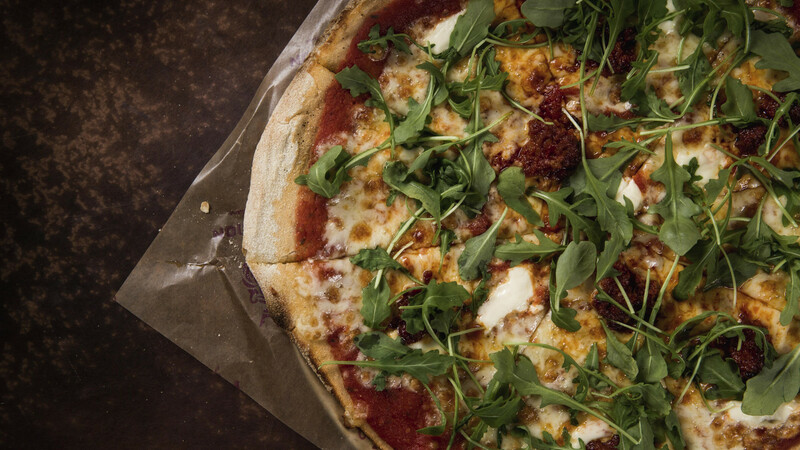 And with charcuterie sourced from pig people Cannon & Cannon, options like the Iberico Chorizo pizza are hard to beat. What are you waiting for? Hop to it. 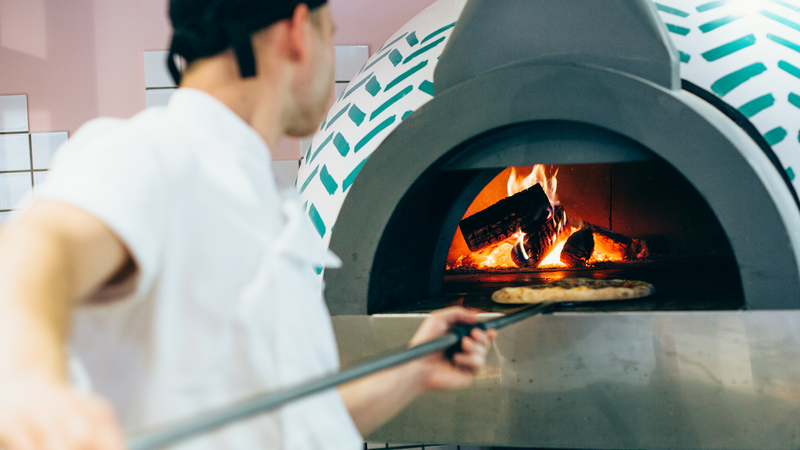 Starting life as a mobile catering business, Baz + Fred has been churning out quality stone-baked pizzas to brides, grooms, and festival-goers since 2012. 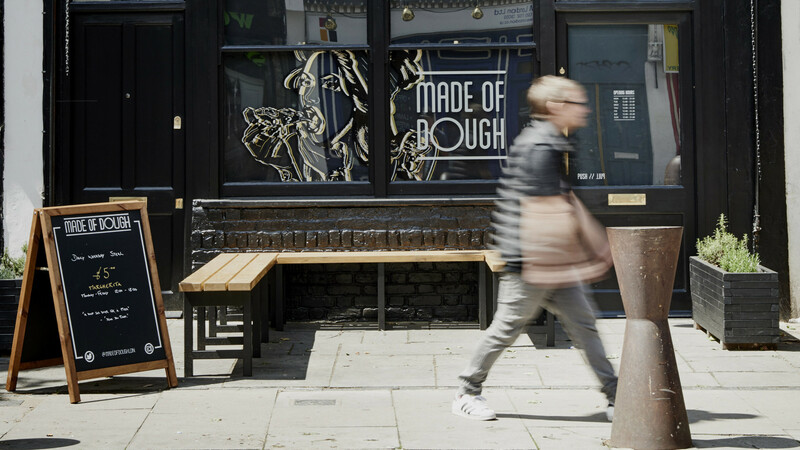 Created by young chefs Baz and (surprise, surprise) Fred, the two got their own permanent pizza kitchen at popular foodie hub Flat Iron square in 2016. Success for the two has been pretty much non-stop since then. 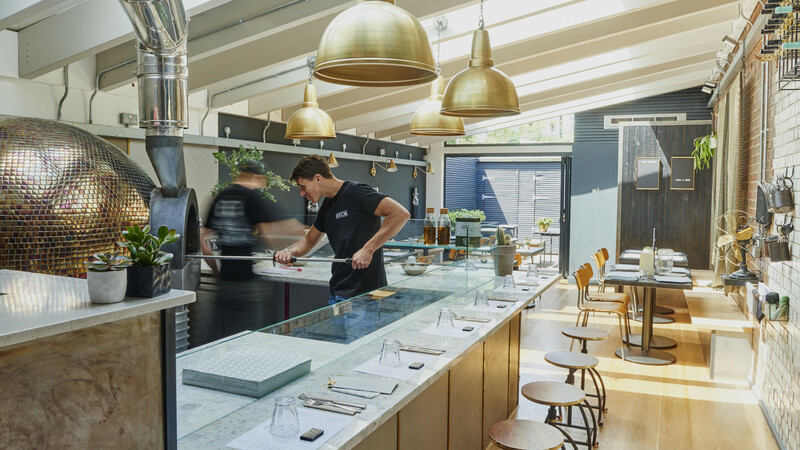 What sets Baz + Fred apart from London's busy pizza crowd is the specialised Chadwick ovens they use to cook their creations. 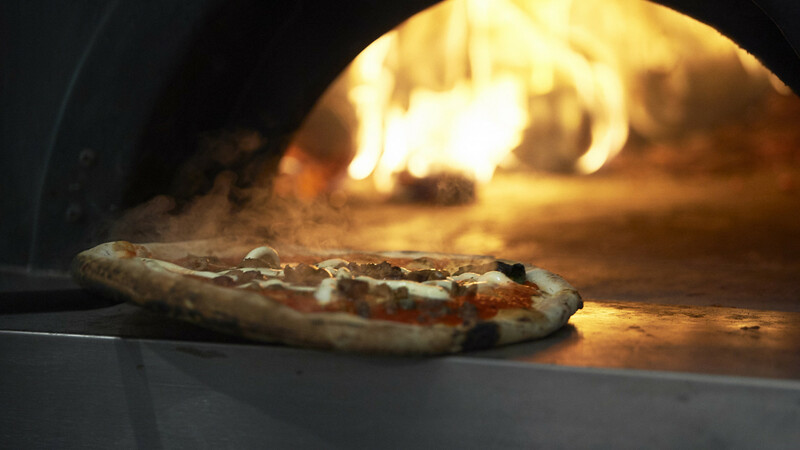 Though they may look like something out of the future, these flying saucer-esque ovens can replicate the scorching temperatures of a traditional full-sized brick pizza oven and cook an entire pizza in around 3 minutes. The result is a traditional-tasting slice that's light on the faff and heavy on the flavour. 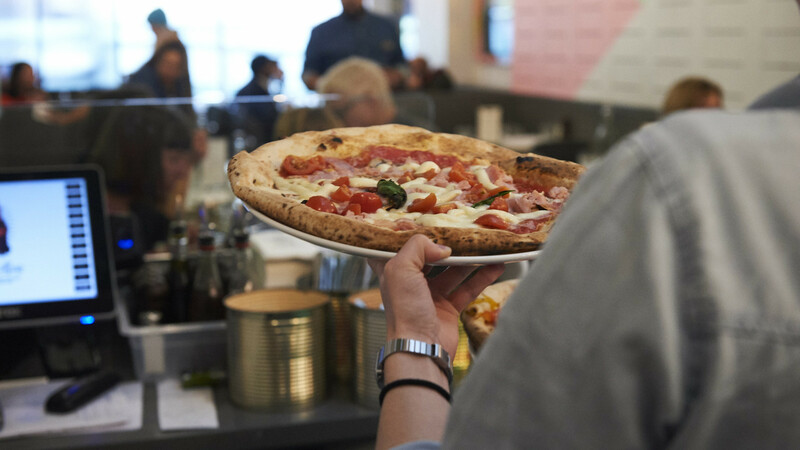 Now, Stoke Newington doesn't have much in common in with Naples (at least, there's not a volcano that we know of in N16) but the two can both claim to be home to the very same iconic pizza joint. 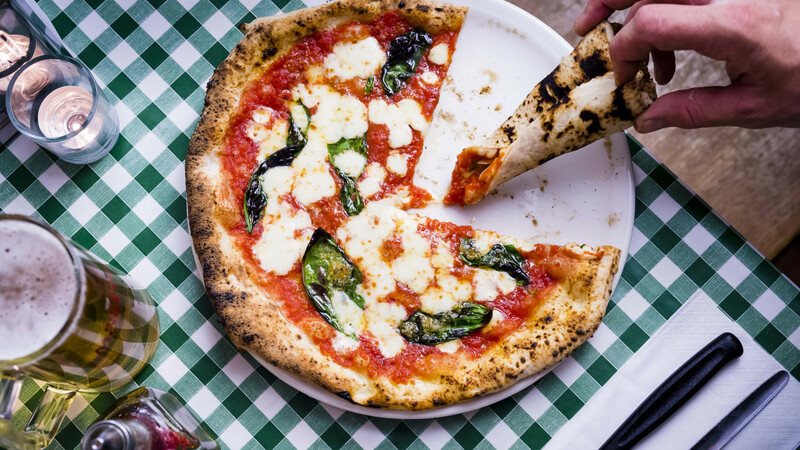 As the sole London branch of L'Antica Pizzeria de Michele, which first opened up shop in Naples all the way back in 1906, this is pizza with a pedigree. It's pizza to be eaten in silence, contemplating over the works of Da Vinci, not Dan Brown. 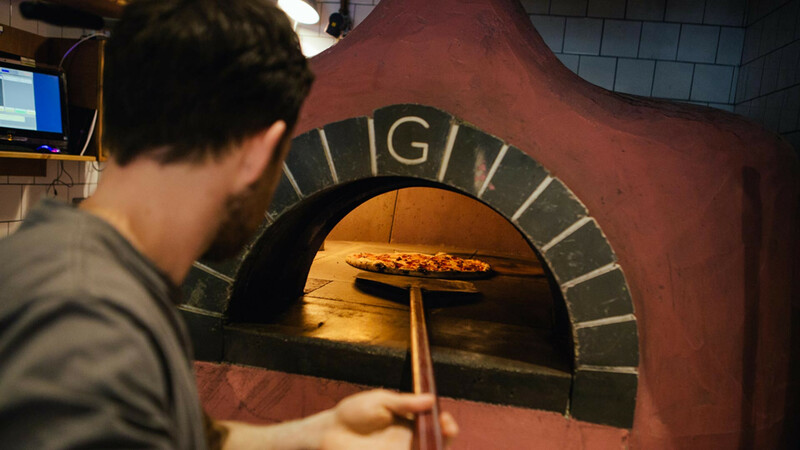 And with queues at the door often lasting around 45 minutes, it's pizza that's worth waiting for. 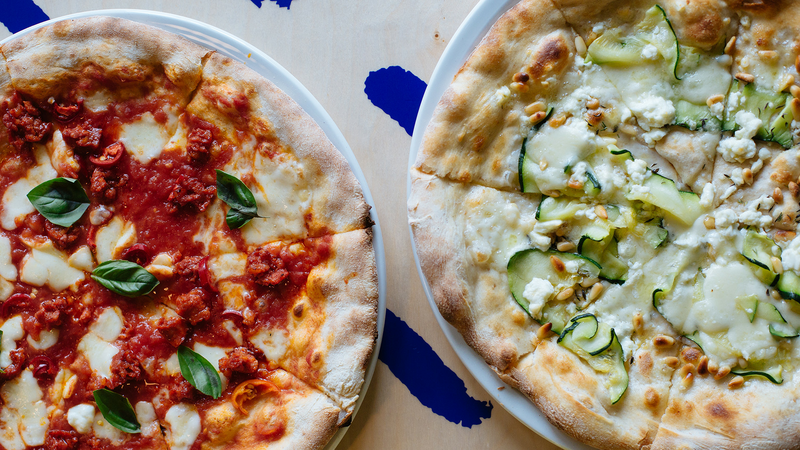 Offering only two options in the marinara and the margherita, we'd highly recommend you bite the (delicious) bullet and get them both. 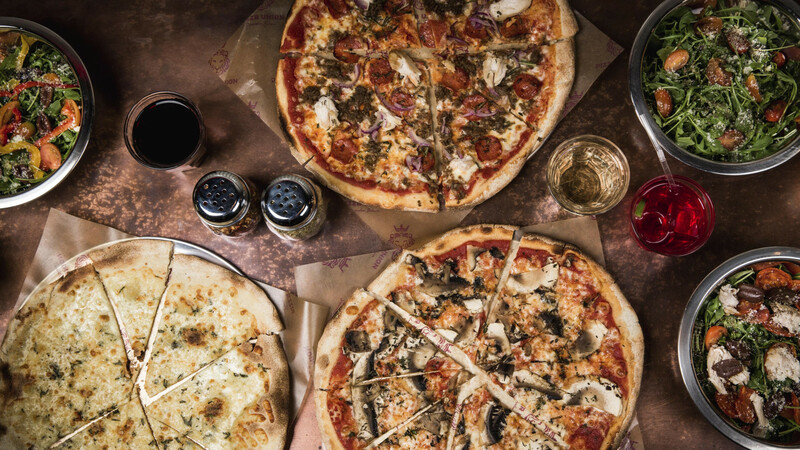 Not only will you hard-pressed to find a more authentic pizza experience in the capital, but by the time you actually get your pizza, you'll sorely regret not having ordered another. Despite all its fancy (pepper) bells and whistles, pizza is still, at its very core, intended to be a fast and cheap food. It's a staple of student diets all over the globe for that very reason. But just because something is fast and cheap, doesn't mean it necessarily has to taste like it. 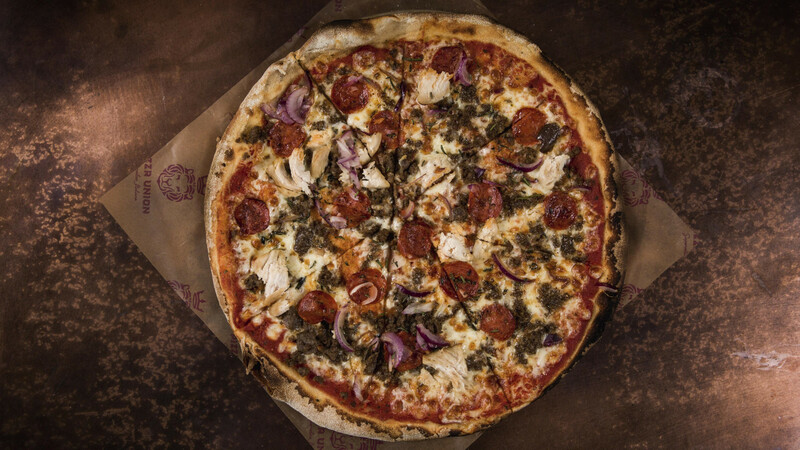 Pizza Union proves just that by providing super fast pizzas that still taste super great. Which is pretty impressive considering that the margherita costs only £3.95. Yes, just let that sink in. You can get an entire thin and crispy 12" pizza for £3.95. You can't get anything in London for that price. 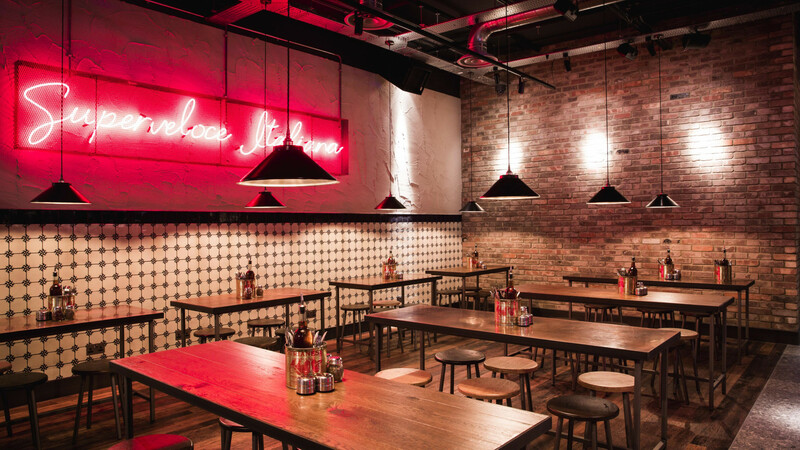 And with outlets at Spitalfields, King's Cross, Aldgate, and Dalston, we wholeheartedly embrace the Pizza Union takeover. Long may pizza stay cheap and delicious. 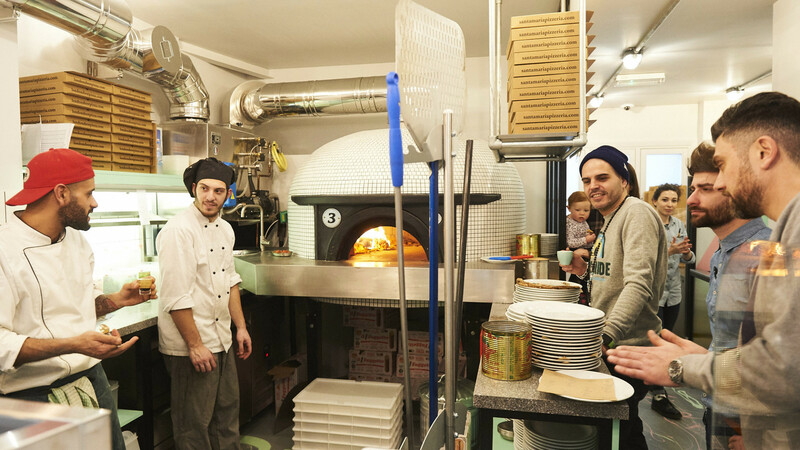 Santa Maria is a Neapolitan pizza place run by Neapolitans Angelo Ambrosio and Pasquale Chinchio. That, in itself, is a very good sign. 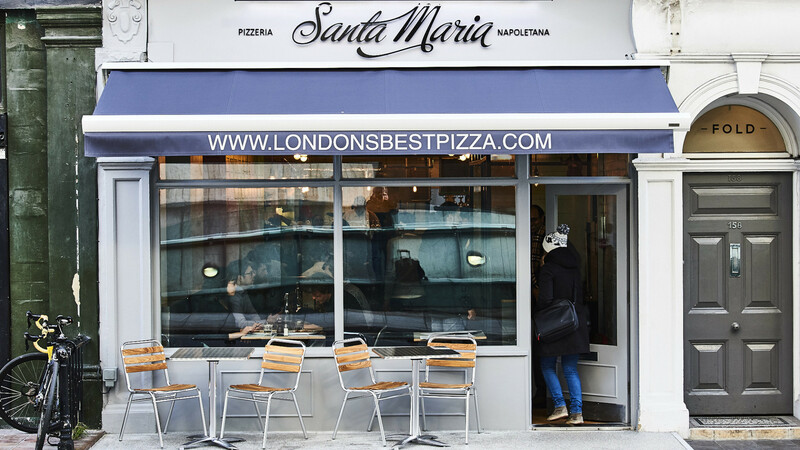 Santa Maria only uses San Marzano tomato sauce with a D.O.P. certification and artisanal fior di latte cheese all the way from Campania. 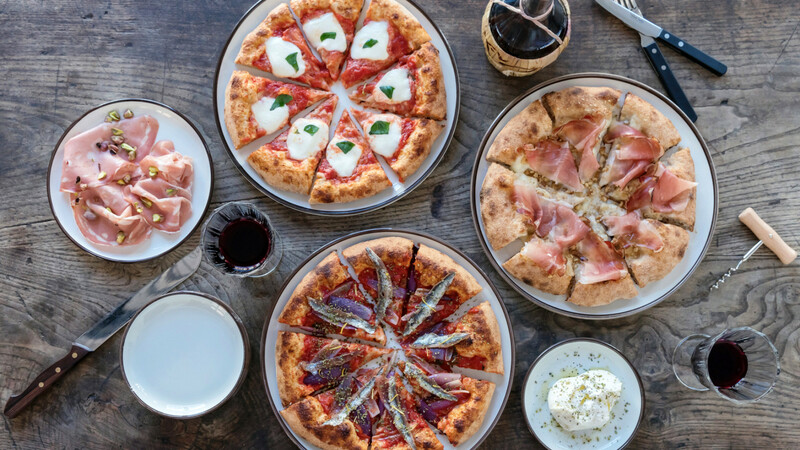 Another encouraging sign: a meal at Santa Maria is perhaps the closest you'll get to a Naples pizza experience without actually booking flights overseas. And if you're looking for a sign from the pizza gods: go there now. 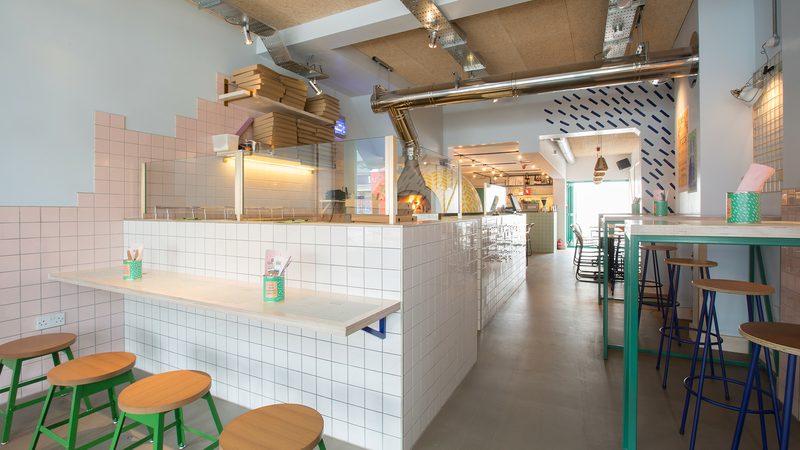 Not wanting to get lost in the shuffle of the latest food trends, Santa Maria has even got vegan pizzas on the menu. And although this may seem like a sacrilege, all sins are forgiven once you actually try one of their non-vegan offerings. Because holy moly they're good. 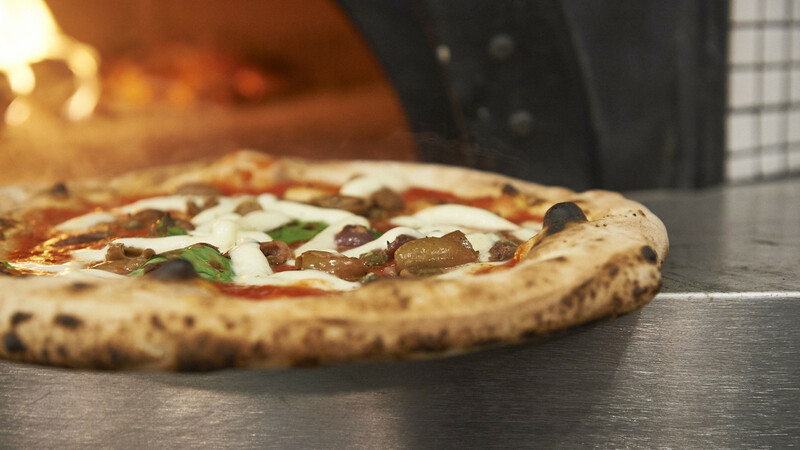 Santa Maria's San Francesco – which is topped with tomato sauce, mozzarella, peppers, courgettes, aubergines, and parmesan – will make you an immediate convert. 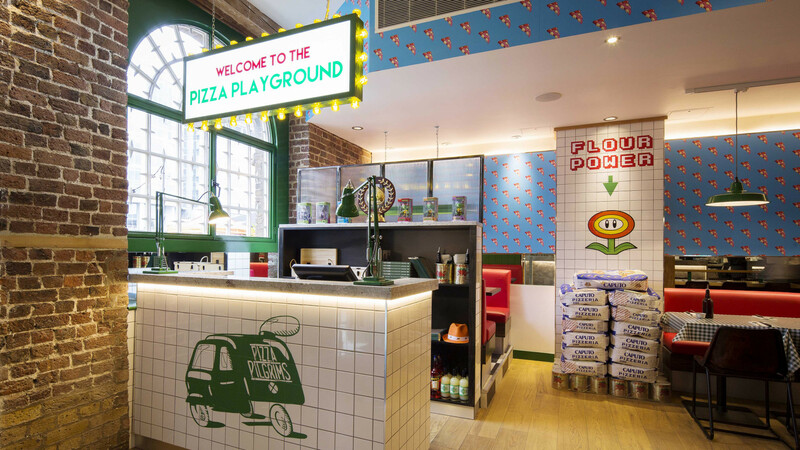 Having opened up numerous outlets around the city we call home, the people at Pizza Pilgrims have made your weekly pilgrimage to the good temple pizza all the more easier. 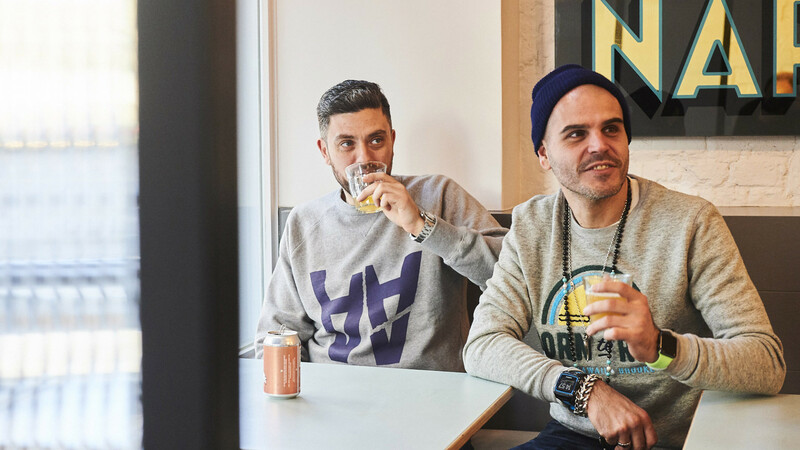 Founders James and Thom Elliot first decided to bring the artistry of pizza-making to London after conducting their very own dough-based pilgrimage around Italy. 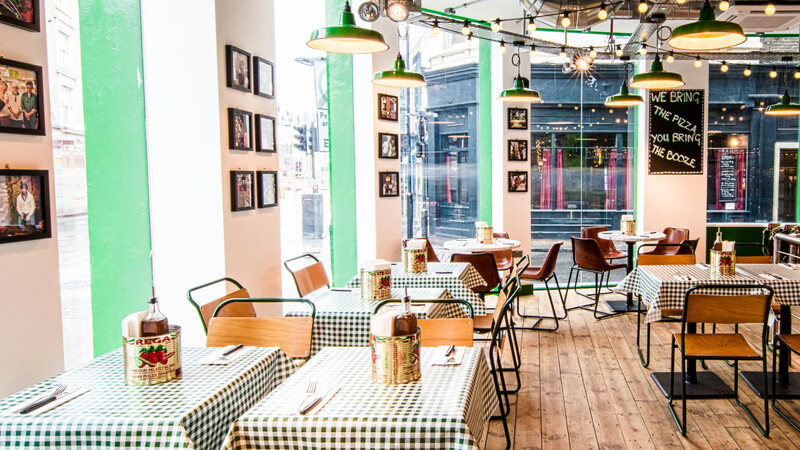 As such, Pizza Pilgrims specialises in the traditional stuff but has managed to combine those Italian influences with London's cosmopolitan leanings to great success. 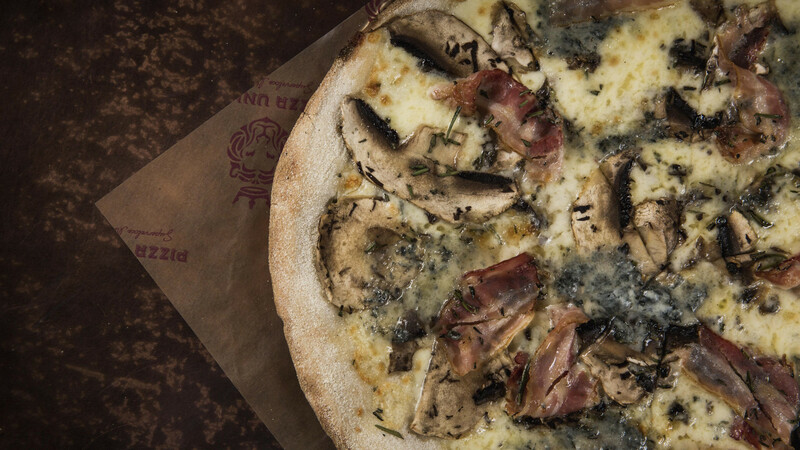 A recent addition to the Pizza Pilgrims menu, the Gianfranco Gorgonzola, is perhaps the epitome of that delicious merge of cultures. 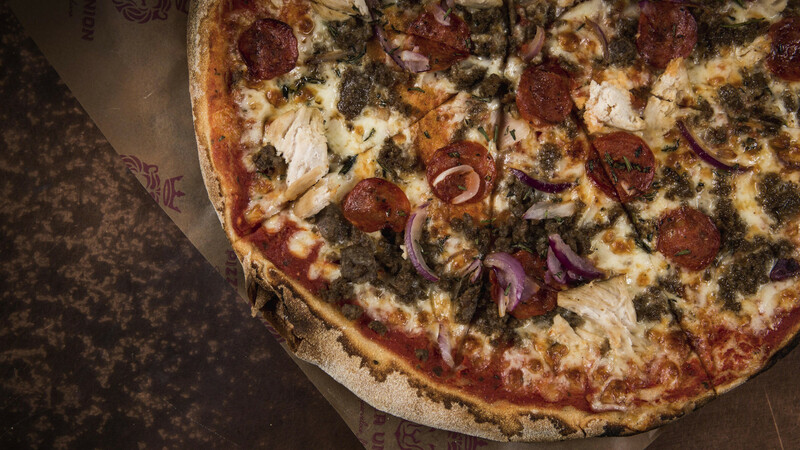 It's a sauceless white pie – ideal for anyone looking for a cheesy hit – named after cult Chelsea FC player, Gianfranco Zola. 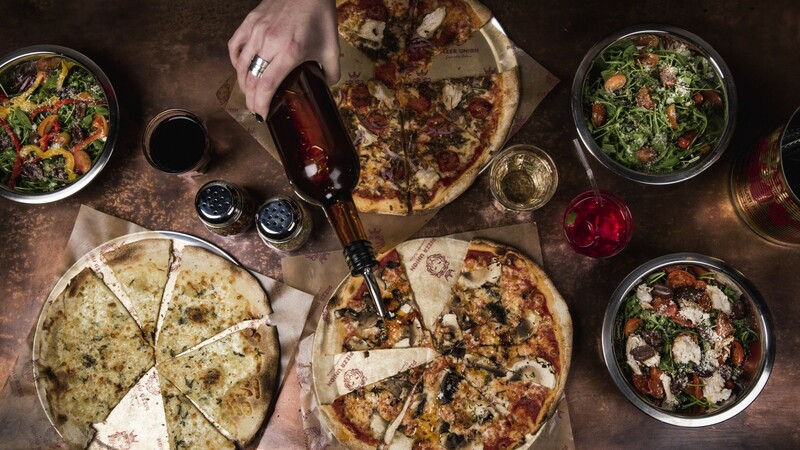 You can't get much more London than that, and like everything else that Pizza Pilgrims has on offer, it's very, very good. 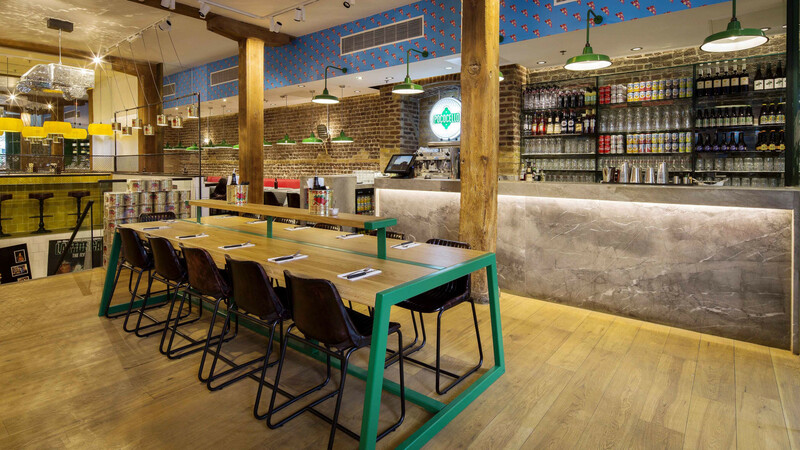 Radio Alice, founded by brothers Matteo and Salvatore Aloe in 2016, is the London incarnation of popular and award-winning Italian pizzeria, Berbère. 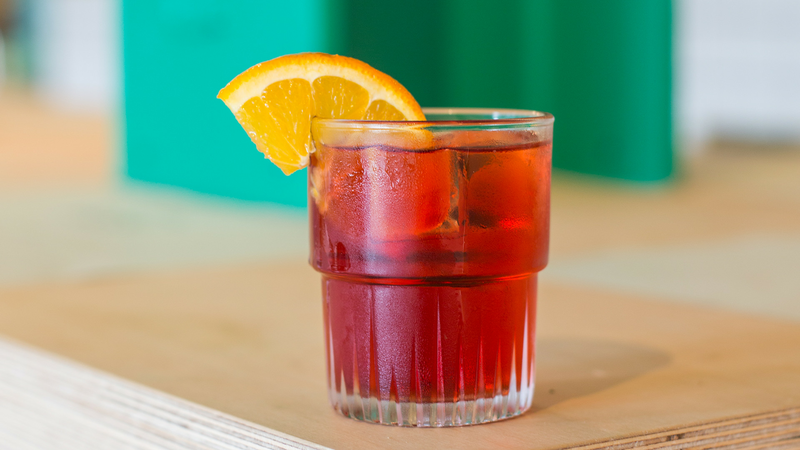 Radio Alice's recipe was born in Bologna and takes its name from an 1970s Italian pirate radio station of the same name. 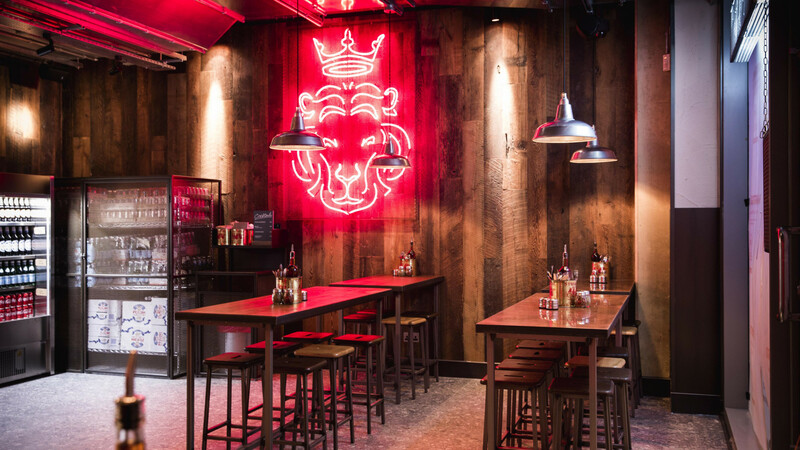 That rebellious ethos can be felt throughout Radio Alice's Hoxton and Clapham premises – where things are very much done Radio Alice's way or the highway. That highway, for the most part, is highly delicious. 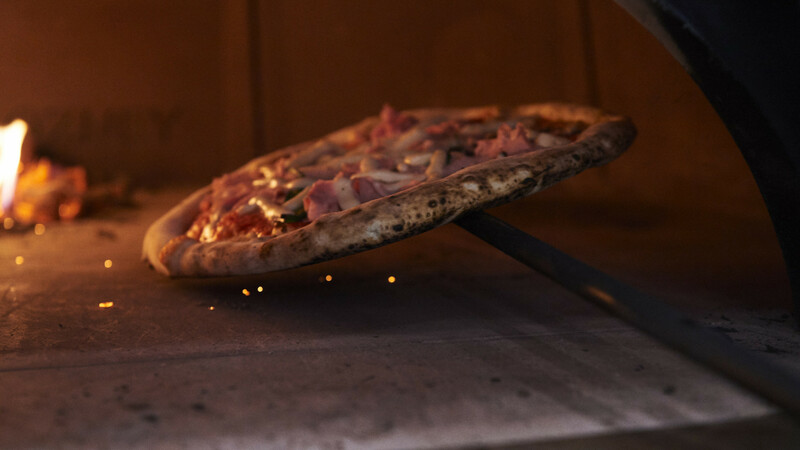 The pick of the pizzas on offer is Radio Alice's prosciutto di parma, burrata and orange oil sourdough pizza. 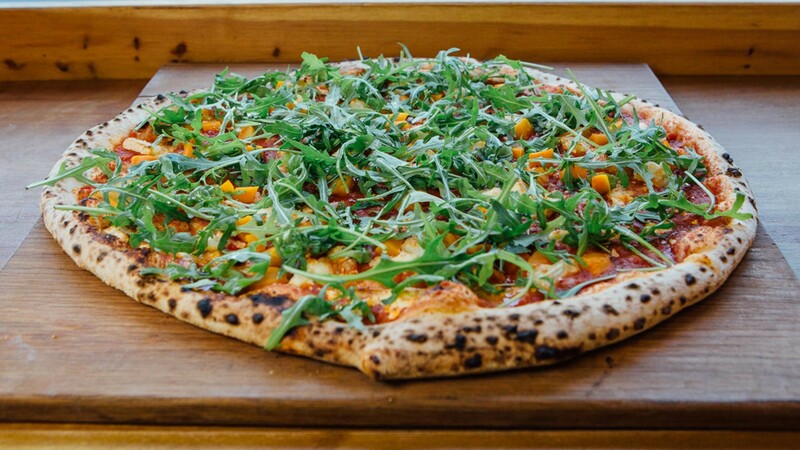 Yes, orange oil on pizza. But trust us on this one: just eat it first. Ask questions (and order another) later. Eating pizza really shouldn't be a pretentious affair. You shouldn't have to shave an entire peking duck and douse a pizza in truffle oil to elevate it to something that classifies as "fine-dining". 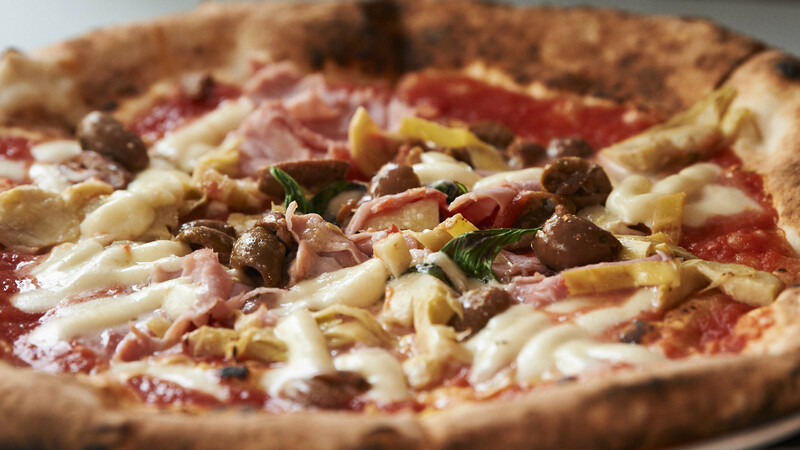 The key to a good pizza is in the friendly assembly of all its ingredients. Each topping should contribute to, rather than detract from, the overall pizza-eating experience. 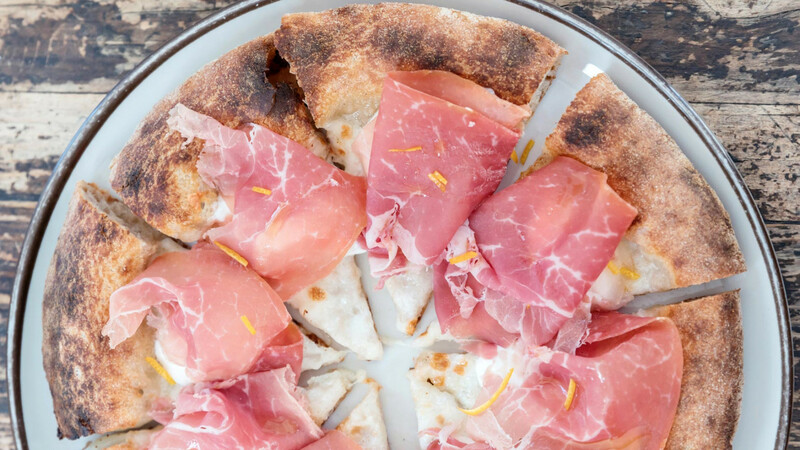 Sacro Cuore is a Neapolitan-style pizzeria that understands that. 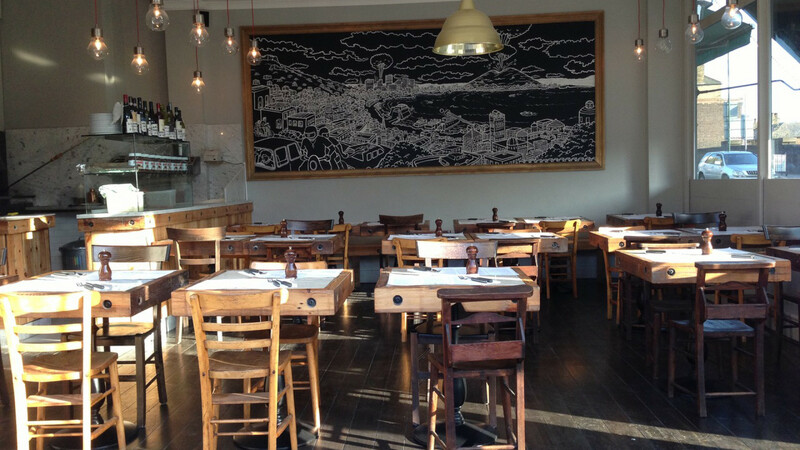 With a rustic wood-fired oven firing up its hearth in Kensal Rise, Sacro Cuore has a simple, no frills approach. It just makes damn good pizza. The salsiccia and friarielli (Neapolitan wild broccoli) is perhaps the greatest vessel for delivering broccoli to one's stomach that we've discovered yet. 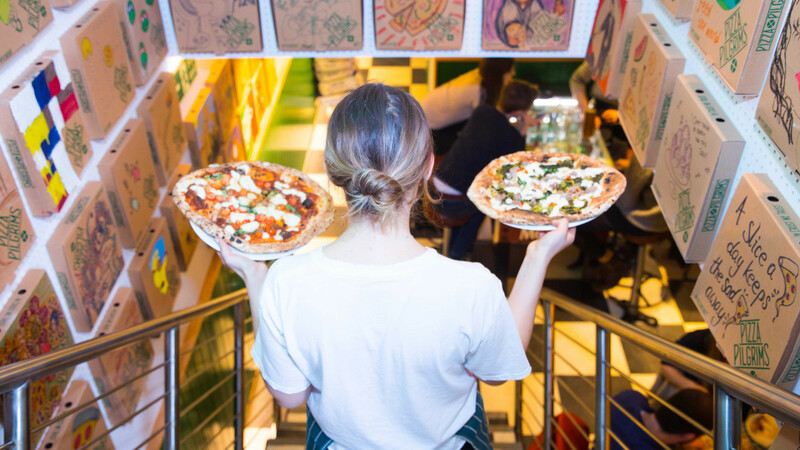 A simple lean dough recipe that involves a 60-hour fermentation process may not be the exciting origin story you were hoping for from the dough of a pizzeria literally named Made of Dough, but there are plenty more reasons to be excited about this Peckham pizza palace. With six of those specific reasons being the six different types of pizzas available. 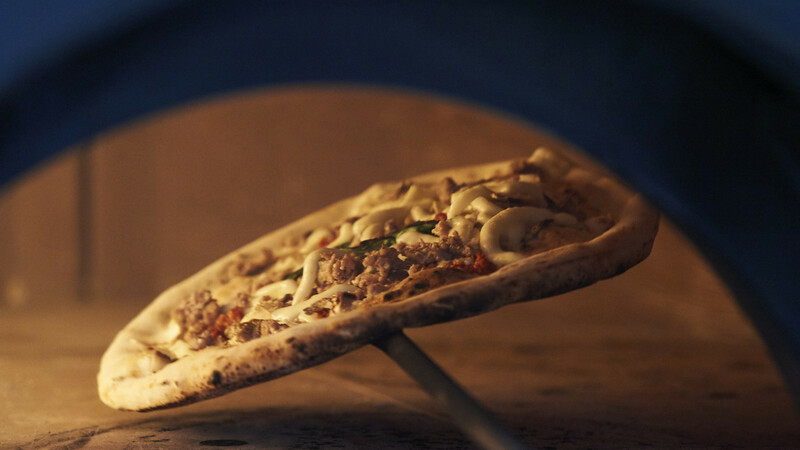 While all of the pizzas are saucy and sapid in equal measure, the merguez is our stand-out pick. 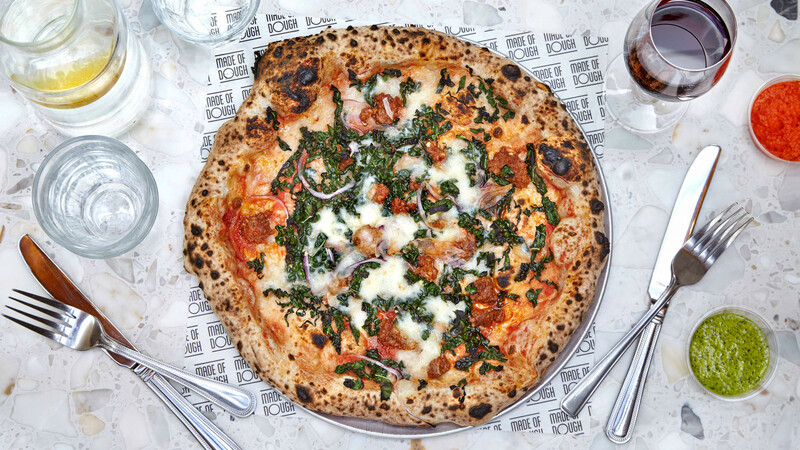 It comes with lamb merguez – locally sourced from the Flock & Herd butchery down the road – san marzano tomatoes, cavolo nero, red onion, rosemary and fior di latte cheese. Round off your meal with a Motherf***king (their words, not ours) peanut butter & vanilla milkshake for a true feast. The best part of it all? At such an affordable price, you don't even have to be made of dough to enjoy the Made of Dough experience. 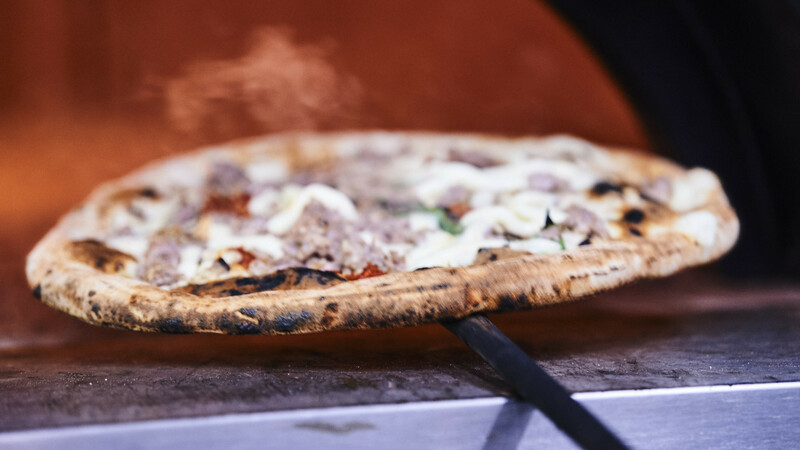 What started with an oven in Yard Sale founder Johnnie Tate's back yard in Clapton has since become a London pizza staple. There are currently four Yard Sale pizza outlets, providing consistent crusts and dangerously addictive toppings, across the city. 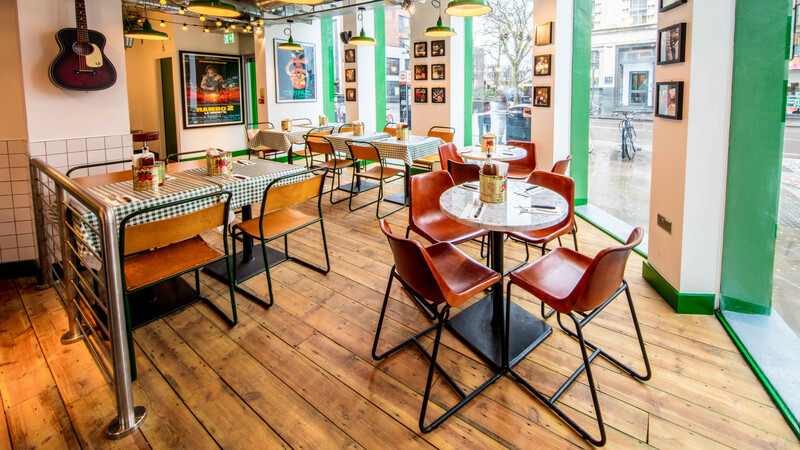 A fifth is set to open in Fulham this year. Inventive names like Cheesus Walks, Harlamb Shake, and Cour Blimey are all certainly memorable. But it's the quality of the pizza that will have you coming back again. And again. And again. Get one of their many dips to give your pizza bones some much-needed company and we can guarantee you won't regret it. Voodoo Ray's do pizza a little differently. 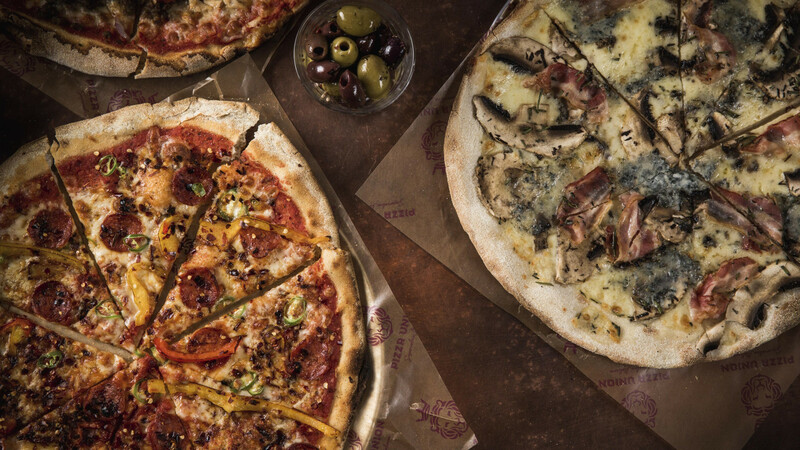 Rather than baking individual pizzas as you order them, Voodoo Ray's bakes massive 22" New York-style pizzas and serves them by the slice. What that means, in theory at least, is that you can get a quick pizza hit without completing depleting your wallet. What that means, in reality, is that you end up buying as many slices of Voodoo Ray's mad creations as you can physically stomach before you promptly roll yourself home in satiated bliss. And when we say different, we really do mean it. The Full Moon Slice (complete with bacon dust, marinated tomatoes, mozzarella, and japanese mayonnaise) is only available after midnight. Perhaps the most impressive thing of all is that they've made a vegan pizza that's genuinely banging. So, be prepared to say "yas" to the Queen Vegan pizza.